The Show is about exploring and exposing the different aspects of expression...through and creating the human experience. The show is about the creativity and healing expressions... through the arts and spirituality in today's society and the interconnection of inspiration and creative expression of healing. Jennifer Hillman, a certified Intuitive Life Coach/Psychic, Hypnotherapist/NLP Practitioner, Reiki Master/Teacher, Published Poet/Writer/Artist adds another level to her extensive career to explore and expose awareness of the illusion we live in and the creative aspects of the veil. About Angels Intuition’s founder, Jennifer Hillman, also known as Jen/Jenn and professional psychic readings as JenVirginia. A born educator, counselor and psychic adviser, Jenn Hillman recognized her calling while attending elementary school where she overcame a speech and learning disability (dyslexia). She then committed herself to teach others that they too have the power to do the same. Jenn’s belief system has been developed through a combination of life lessons, observation, channeling, and the studies of the Kabbalah, Shamanism, Christianity, and Buddhism, to name a few. She believes that souls choose the lessons or patterns prior to this lifetime, and make agreements with the spirits and souls that will guide, meet, and love them in this life. Besides her natural gifts of clairvoyance, clairaudience, clairsentience, empathy, and channeling/medium-ship, Jenn has accumulated other certifications and licenses to offer the most guidance and assurance to her clients. Her certifications are listed below. Jen lives in the moment and travels a lot. She works on her professional projects including her company Jennifer Hillman, Inc doing business as Angels Intuition, Inner Strength Coaching and Abstract Illusions. Jen is also a published writer and poet (“Embracing Souls: Poetry of the Dance, Volume I“), and is published on her blogs, Jenn Hillman Reflections and Words of the Soul, as well as published under her pen name on The Rebelle Society and Making Love to Her. 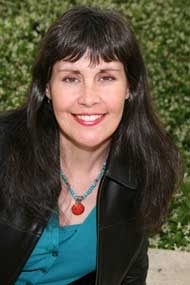 She has a radio program, “Abstract Illusion Radio” or AIR on WolfSpiritRadio.com and other networks. Original programs are recorded on Tuesdays at 9am -11am pst. 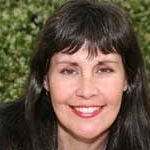 ~Founder and Owner of Angels Intuition, An Intuitive Advisement and Consulting Business. ~Founder and Owner of Abstract Illusions Media, Multi-Media Firm; focusing on education through publishing and art/entertainment arenas with social media. ~Founder of Empowered Vision, a foundation supporting creative expression through charitable acts. ~Developer of INOB: Individual Notion of Being- A Course of Self Awareness and Acceptance. ~Host/Producer of AIR – Abstract Illusions Radio on BBSRadio.com for 3.5 years (2007-2010). ~Host/Producer of AIR – Abstract Illusion Radio on WolfSpiritRadio.com since 2013. ~In Business of Service and Healing for over 35 years. and Professionals(2006) and Cambridge Who’s Who(since 2009). ~Jennifer continues her studies in the arts and spiritual/healing arts. My Specialties are Intuitive Advisement, Coaching and Healing, Energy Balancing, Coaching and Information Exchange. I have been networking, working in the arts and spiritual arts for most of my life.